There are 7 species of ghost spiders known from Ohio. This represents about 1% of our spider species. 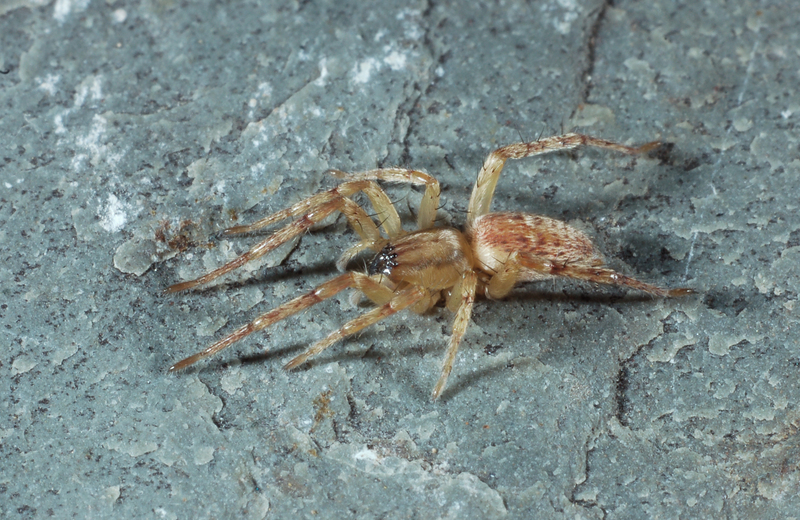 The name for this inconspicuous group, the ghost spiders, refers to their pale coloration and habit of emerging chiefly at night. They may occasionally be captured during the day in sweep-net samples. 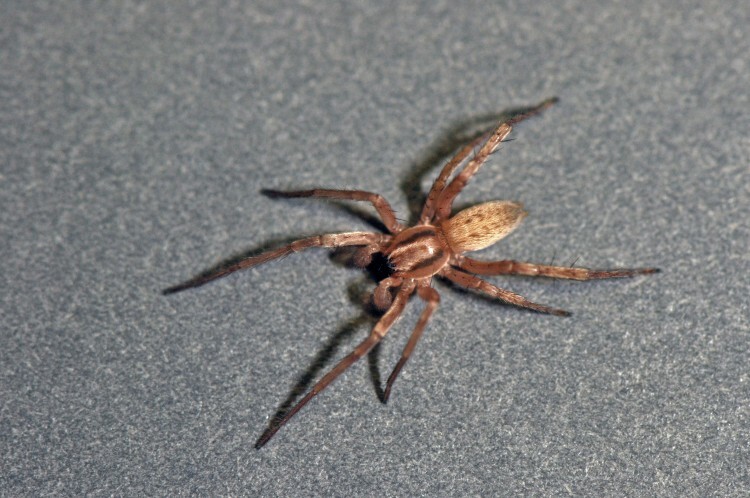 They are very active spiders, constantly running over the surface of vegetation in search of prey. Like the prowling spiders they fuel their constant running by feeding on sugary plant nectar when they encounter it in flowers or nectaries. They rest in a tubular silk retreat under a rock or leaf, or in a curled leaf. 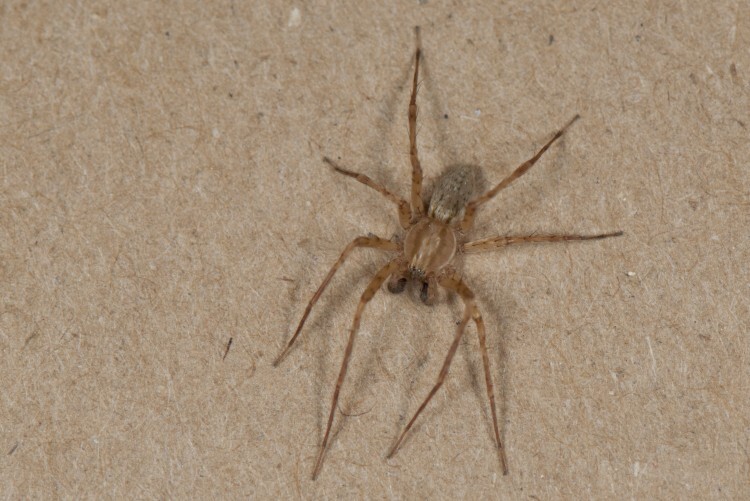 These spiders are important predators on small insects inhabiting commercial fruit trees in Ohio. 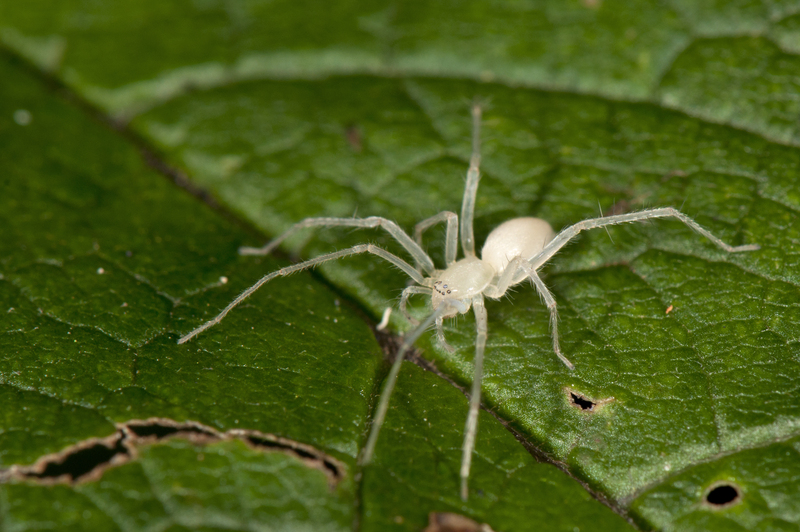 Ghost spiders mature in spring. The female guards the cocoon from which the young emerge in late spring or early summer.